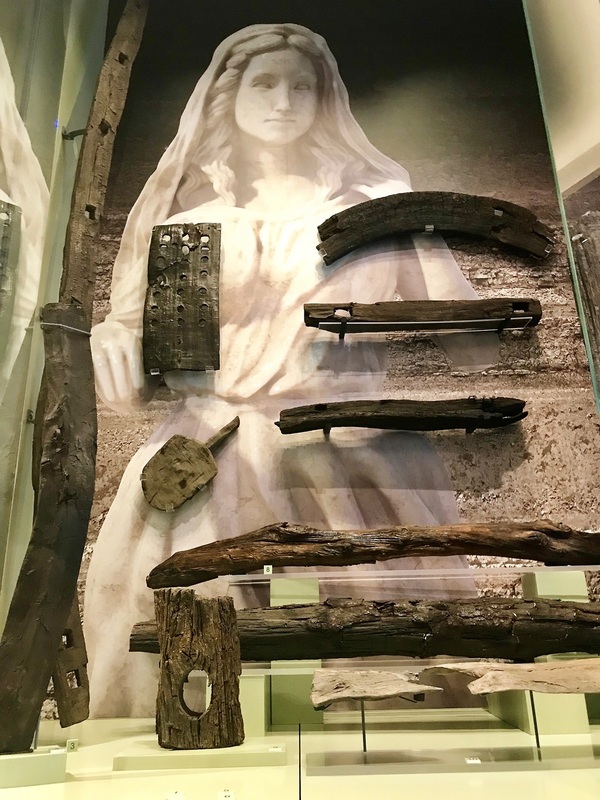 On March 30th, a new gallery dedicated solely to wooden artifacts unearthed from the Roman fort of Vindolanda in Northumberland opened at the site’s museum. 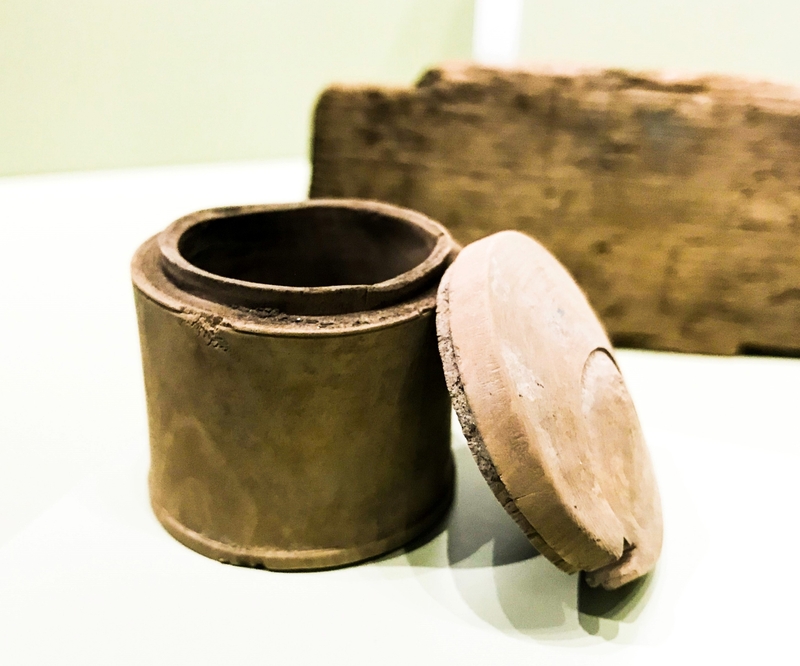 Vindolanda’s oxygen-free soil is an exceptional preserver of organic materials, most famously the wood tablets recording the letters of soldiers, officers and civilians, but also leather objects (so many shoes), assorted textiles and plants. Exactly 1,463 wooden artifacts have been unearthed at Vindolanda, some of them unique in the world. My personal favorite is the toilet seat, the only ancient Roman wooden toilet seat known to have survived, but there are plenty more treasures among the haul, including the only known surviving wooden potter’s wheel, a wagon wheel, bath clogs and the remains of doors with numerals carved into them. There are an array of combs, boxes, tools, furniture and water pipes which are also very rare survivals. Most of the Roman pipes archaeologists find still intact are lead or tile. The smooth barrel stave from Spain engraved with the maker’s name discovered in 2016 is in the new gallery too, as is a toy sword. Just 10 months after the initial ground work started on site the ‘Unlocking Vindolanda’s Wooden Underworld’ project is now complete and opens to the public on 30th March 2018. The new gallery has special display cases which not only allow temperature and humidity to be kept at safe levels but are also large enough to accommodate some of the current and future giant wooden objects. In addition to the gallery a new activity centre has also been created which allows more people to engage with the collection through a range of activities for all ages. Easter weekend starts the activity programme with a closer look at Roman cooking and Roman food specialist John Crouch will be demonstrating how wood was used in the Roman kitchen. As more wooden objects are unearthed, more will be added to the gallery. This entry was posted on Saturday, March 31st, 2018 at 12:46 AM	and is filed under Ancient, Museums. You can follow any responses to this entry through the RSS 2.0 feed. You can skip to the end and leave a response. Pinging is currently not allowed. 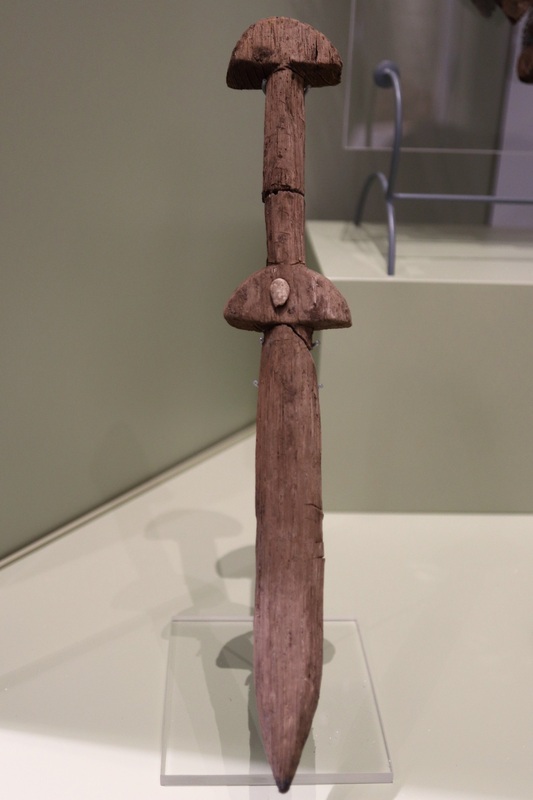 Love the toy sword; boys will be boys; the 9th Legion vs the Picts might have been the play equivalent of Cowboys vs Indians back in early Baby Boomer years. Vindolanda and Pompeii are leaders on my bucket list. Vindolanda is an absolutely fascinating glimpse into Roman military life, just as Pompeii is to everyday Roman life. Have seen plenty of Roman toilets but would have loved to seen the seat!, Unfortunatelty am visiting on the north Cumbrian coast and cant get over. But was able to visit the little Roman museum at Maryport.